Part of the original Crow Indian Reservation, the CWC Ranch was an Indian hunting camp. The property was homesteaded and water rights were filed in the late 1800's. Remnants of the stage coach route between Big Timber and Independence, a gold mining ghost town, can be seen on the ridge above the irrigated hay fields. In the 1920s the ranch was purchased by Bill's father. 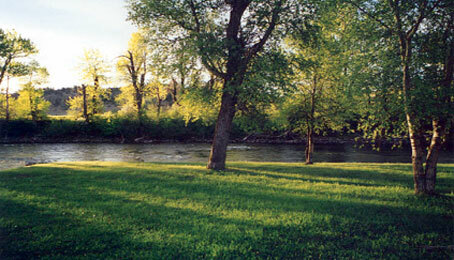 Nestled between the Boulder River and the Yellowstone River, Big Timber is an agricultural community. The beautiful Crazy Mountains provide a perfect backdrop for all types of outdoor sports, photography and scenic drives. Big Timber is also the gateway to the Absaroka-Beartooth Wilderness and has some of the best blue-ribbon trout fishing in the state. There are museums, antique shops, galleries and a beautiful log cabin visitor center. Lying west of Big Timber are the dramatic Crazy Mountains, and to the south is the breathtaking Absaroka Mountain Range. Granite Peak, located in the Absaroka Mountain Range, is the highest mountain in Montana at 12,799 feet.